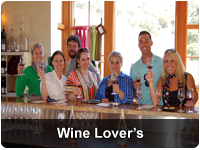 The Wine Lover's Luxury Tour with gourmet picnic lunch is for people who love wine! 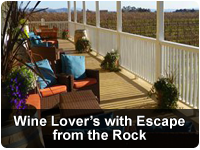 And you also get to see the beautiful scenery of California’s premier wine valleys, Sonoma and Napa. Another one of our Escape from the Rock Packages. 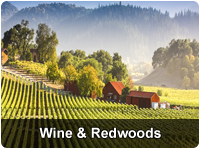 Experience California Wine Country on this extensive semi-private tour.